The concept for this WC and Gym was modern and luxurious. 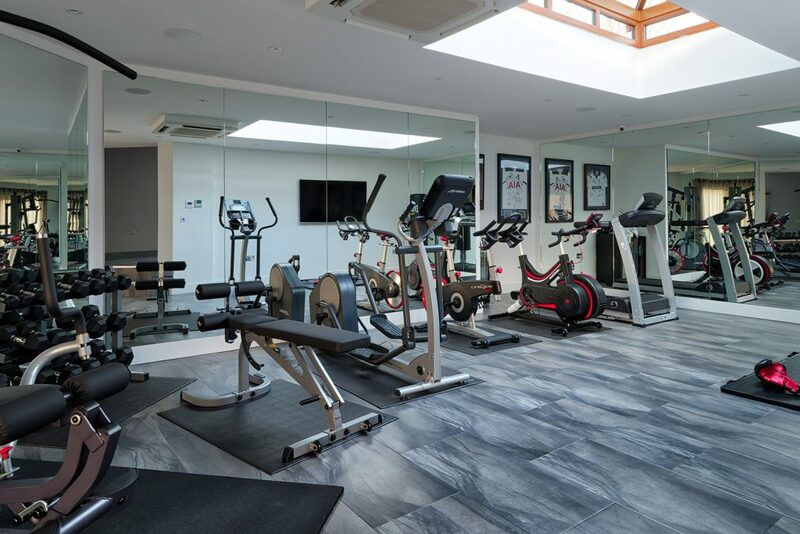 In the GYM itself we used a range of tactics to open up this space, lining the walls with mirrors, and white washing the walls, using a durable carpet on the floor, which can withstand drilling workout regimes. 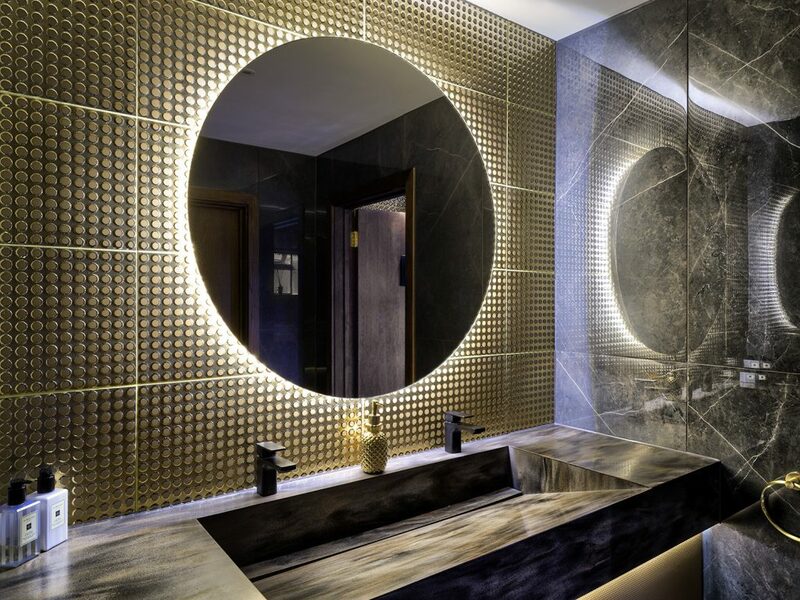 Meanwhile, in the bathroom, a seamless design was created using gold textures and black materials. The combination of these colours adds a mysterious and ostentatious effect. 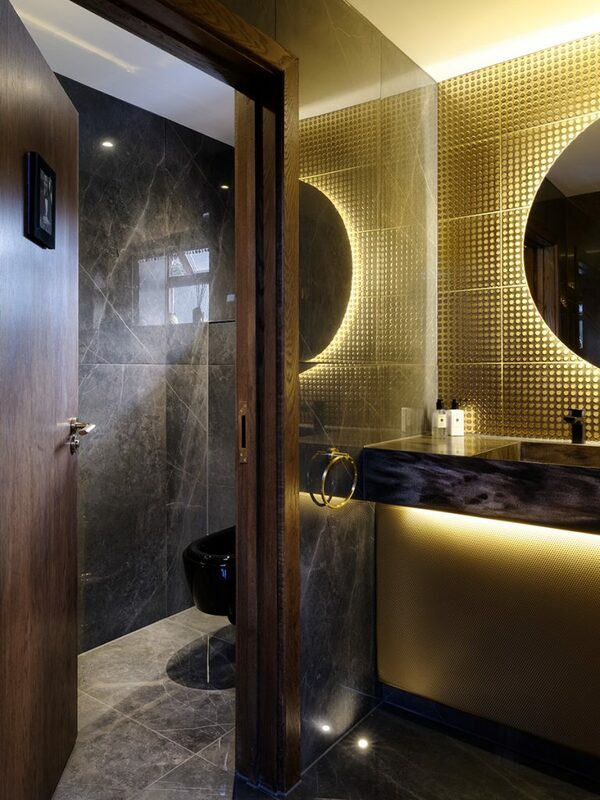 The bathroom uses a polished black tile, beautifully compliments the black detailing of the modern sink, taps and toilet. 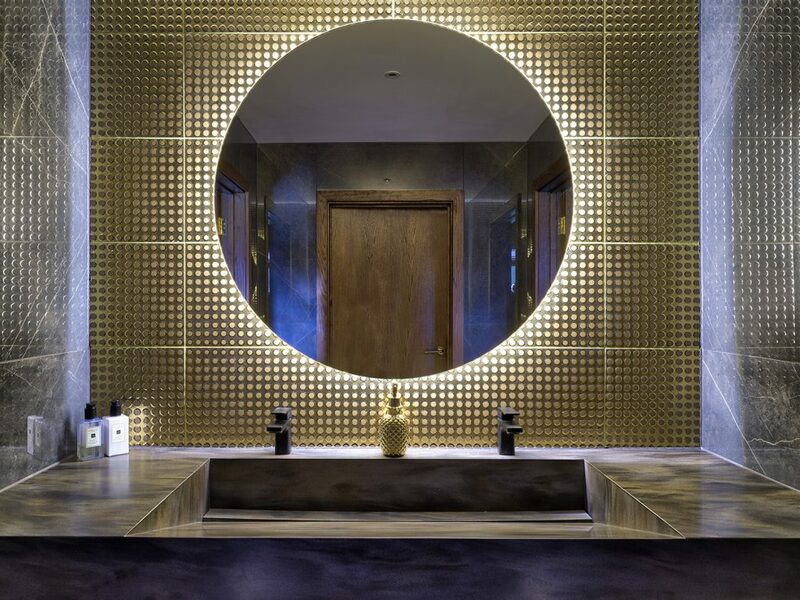 The use of this black tile on the floors and walls perfectly reflects the lighting effects, and emphasising the elaborate gold design of the textured gold tiles for backdrop behind the mirror. 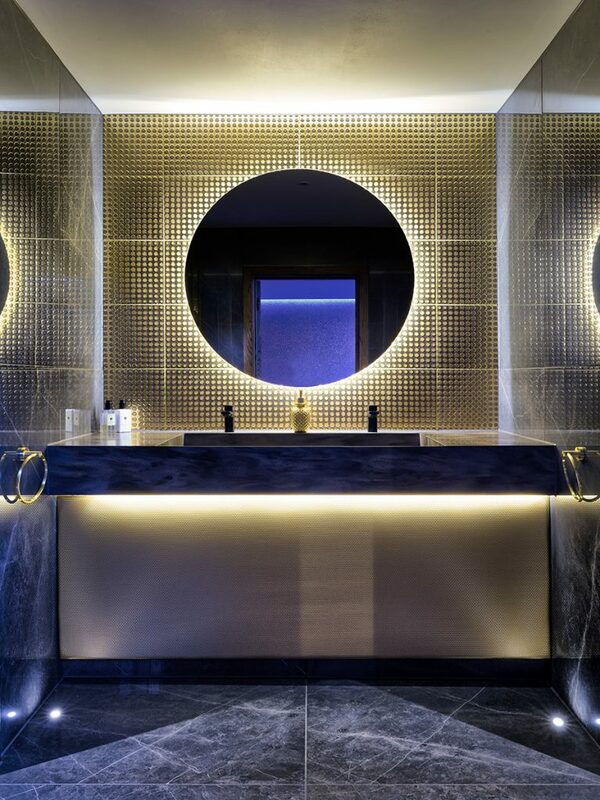 While the additional gold beneath the sink, and towel rails adds a sense of a flowing and total inclusive design.